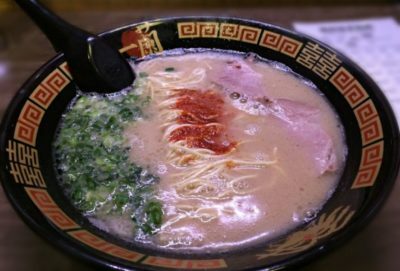 Recommended restaurant in Kawasaki this time is Ramen: Ichiran. 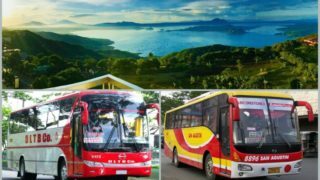 The company was established in 1993 and has been running for 26 years now. 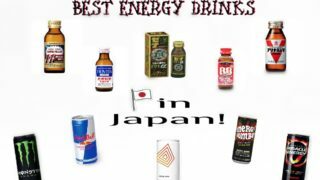 Having a total number of 74 shops as of 2017 here in Japan and abroad, this company has indeed proven its name in the food industry. 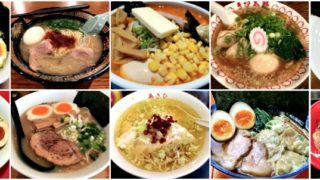 It aims to provide delicious foods and excellent service to its customers while maintaining a healthy lifestyle, that being said, Ichiran only focuses in providing excellent tonkotsu taste for everyone! 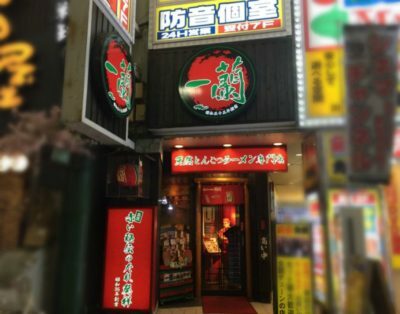 Ichiran Kawasaki is located in a very accessible location. 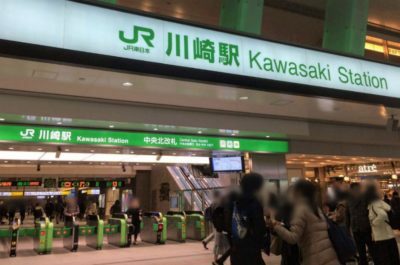 The estimated distance is about 3 to 4 minutes on foot from Keikyu Kawasaki Station (Central Exit), 4 minutes on foot from JR Kawasaki Station Higashi(East) exit, and a minute walk from Kawasaki City Ginryugai-Iriguchi bus stop. 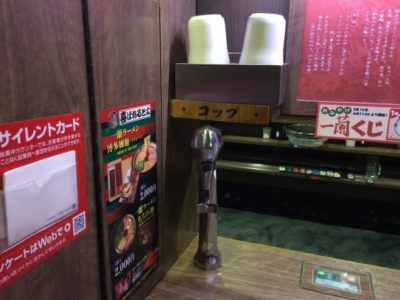 Ichiran does not accept bookings/seat reservations. You can try calling the store if you can have a priority seat option once you get there. The signature red-green combo for the theme makes it so appealing like no other! 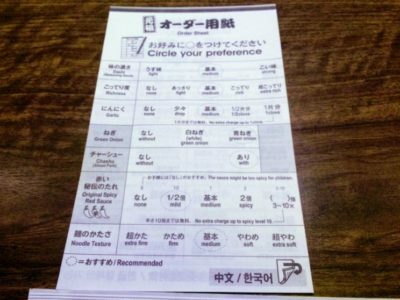 The rstaurant’s name is written in Japanese writings and there is no English translation available so far. Its logo has been known worldwide so I guess it is very familiar even for foreign travelers. 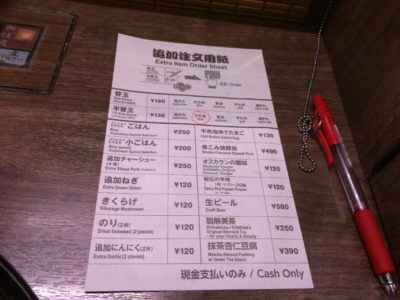 Food menu guide is displayed on the left side of the entrance when you are facing the door. There are a lot of options and suggestions for you to take into consideration. I guess I was lucky enough to immediately enter Ichiran since there are no other waiting customers outside. The customers passage area is really narrow but not so difficult to pass through. A very typical Japanese ramen house awaits inside the dining area where you can also find a cubicle style seating arrangement. I heard, this is basically designed for Japanese people who are used to eating alone. I also prefer this type of privacy while eating. 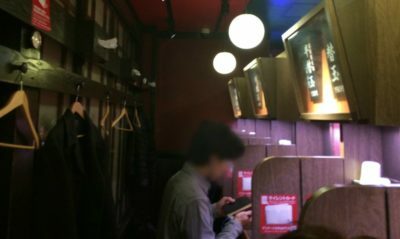 There are a total of 29 cubicle seats and you can find some hangers just placed on the wall for those customers who wish to remove their coats in order to eat more comfortably. It may not be as classy and as relaxing as other restaurants, yet Ichiran remains to be everybody’s favorite! These are the two important buttons that you can find on the table. After filling out the order sheet, press the red button to call for the staff. If you wish to take a restroom break, just press the green button so the staff will be notified. Here’s the water dispenser with plastic cups on top. I find this a little fascinating as I have never seen this in other ramen shops so far. It is really very convenient for customers to manage on their own. This is the highly recommended Tonkotsu ramen from Ichiran. 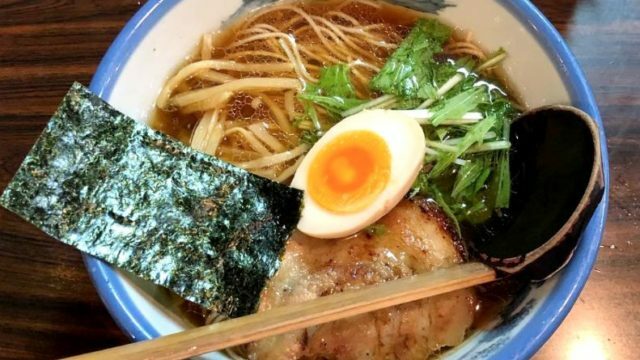 Those who have already tasted this ramen bowl can understand why it has the best taste of ramen in the world. 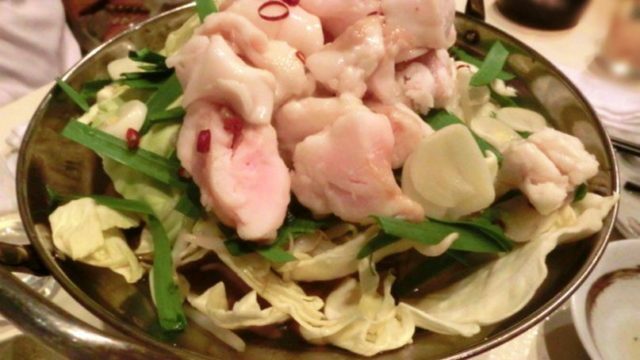 I chose my dashi to have a mild taste as well as the richness level of the soup. I also added green onions, sliced pork, spicy flavor, and a medium noodle texture to complete my ramen bowl. The “spicy” option was indeed suitable for my taste. The soup offers a refreshing taste (for a beginner like me) and the noodles are great to slurp! With a help of someone who is already an expert to Ichiran’s taste, I was able to make my own favorite Ichiran ramen bowl. For first timers, I suggest you choose the medium level first. Only then you can find the most suitable combo for yourself afterwards. The seasoning stock (dashi) has 3 taste options: light, medium, and strong. The richness level is from none, light, medium, rich, and extra rich soup. The spice level can also be customized according to your preference from none, mild, medium, spicy, and 3-10x spice level. The noodle is from extra frim down to extra soft texture with no additional charge at all! If you wish to have an additional order, you can fill out this form, press the button to order and give it to the staff. Once your order is served, hand over your payment to the staff and make sure to pay in cash. There is no private room facility. 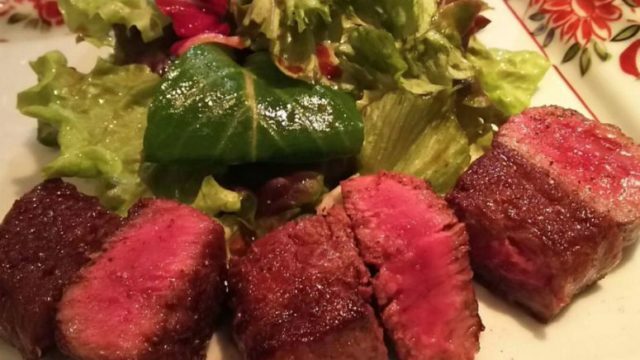 Recommended when eating alone, with a friend, with co-workers, family, and even for dating.